Over 230 people attended Saturday's 100th Anniversary Celebration of the Christian County Farm Bureau at the Manners Park Dining Hall in Taylorville. 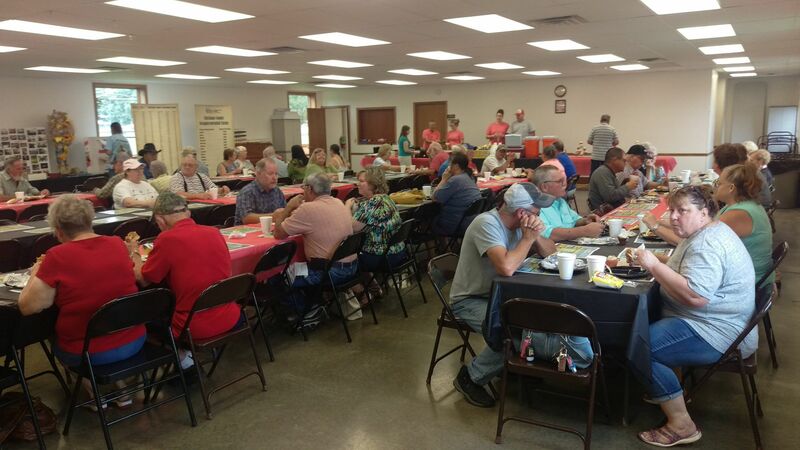 A Bar-be-que meal was served, as local Farm Bureau members and their families celebrated 100 years of promoting agriculture in Christian County. 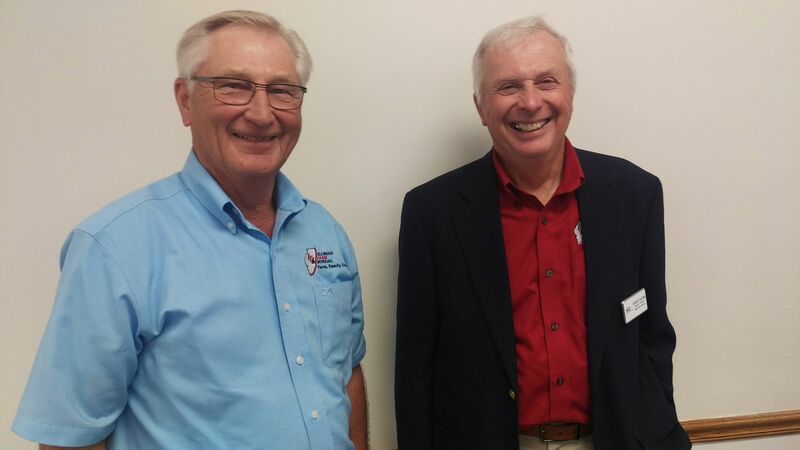 Among Saturday's dignataries attending were Illinois Farm Bureau president Rich Guebert (left); and IFB District 10 Board member representing Christian County Robert Klemm of rural Dewitt County. Guebert told Regional Radio News that the Christian County Farm Bureau is part of the Illinois Farm Bureau in serving farmers across the state. Guebert added that the Christian County Farm Bureau and the other 95 county Farm Bureau's around the state, is the start of where policies begin for the state's largest farm organization. 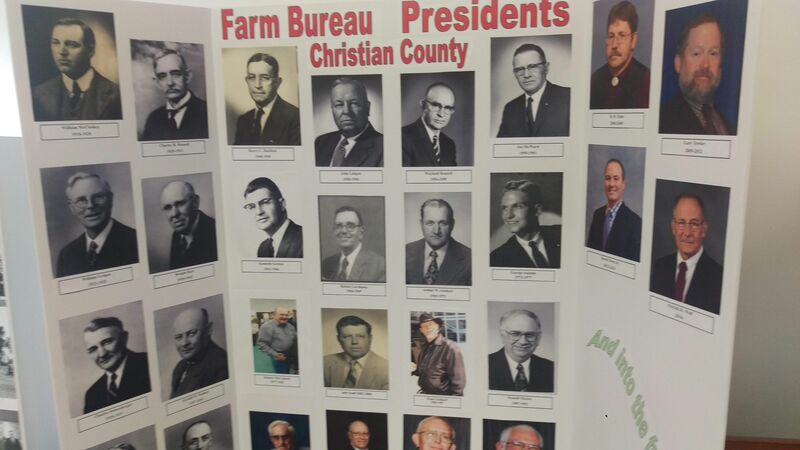 For more information on the Christian County Farm Bureau, go on-line to christiancofb-dot-com.